Our Outdoor Festival Lighting Designs Bring the Essence of Mardi Gras to Your Own Backyard! With Fat Tuesday behind us for another year, the 2015 Mardi Gras came and went in keeping with the annual tradition enjoyed by thousands of visitors each year. The origins of Mardi Gras evolved from medieval Europeans passing through Venice and Rome during the 17th and 18th centuries into the French house of the Bourbons. The traditional of celebration and revelry called Boeuf Gras which means “fatted calf” continued with the French as they established colonies in America. Historical research dictates America’s first Mardi Gras took place at “Fort Louis de la Mobile” in 1703. French-Canadian explorer Jean Baptiste Le Moyne Sieur de Bienville had established a plot of lane that lies 60 miles south of New Orleans in 1699 and named it “Pointe Du Mardis Gras” when it was realized they had arrived on the eve of the festive holiday celebrated in their homeland. This same explorer also established “Fort Louis de la Louisiane” which is now known as Mobile, Alabama, in 1702. In addition, according to the Mardis Gras New Orleans website, www.mardigrasneworleans.com, in 1704, Mobile established a secret society called the Masque de la Mobile, similar to those that form our current Mardi Gras krewes. A krewe is an organization that puts on a parade or ball for the carnival season. These lasted until 1709 and in 1710, the “Boeuf Gras Society” was formed and paraded from 1711 through 1861. New Orleans as we know it was established in 1718 by Bienville. By the 1730s, Mardi Gras was celebrated openly in New Orleans, but not with the parades we know today. In the early 1740s, Louisiana’s governor, the Marquis de Vaudreuil, established elegant society balls, which became the model for the New Orleans Mardi Gras balls of today. The earliest reference to Mardi Gras “Carnival” appear in a 1781 report to the Spanish colonial governing body. That year, the Perseverance Benevolent & Mutual Aid Association was the first of hundreds of clubs and carnival organizations formed in New Orleans. By the late 1830s, New Orleans held street processions of maskers with carriages and horseback riders to celebrate Mardi Gras. Dazzling gaslight torches, or “flambeaux,” lit the way for the krewe’s members and gave each event an exciting air of romance and festivity. In 1856, six young Mobile natives formed the Mistick Krewe of Comus, invoking John Milton’s hero Comus to represent their organization. Comus brought magic and mystery to New Orleans with dazzling floats and masked balls. Krewe members remained anonymous but began the basis of the Mardis Gras celebration we know and love today. 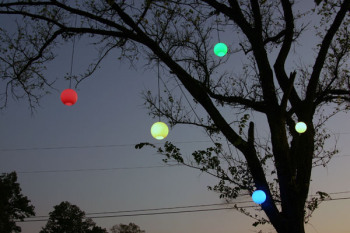 Permanent festival lighting, such as orb lighting, comes in a host of lively colors. With so much to see and do during Mardis Gras week, visitors are often saddened that the celebration has to end. Don’t fret — the party doesn’t have to be over yet! 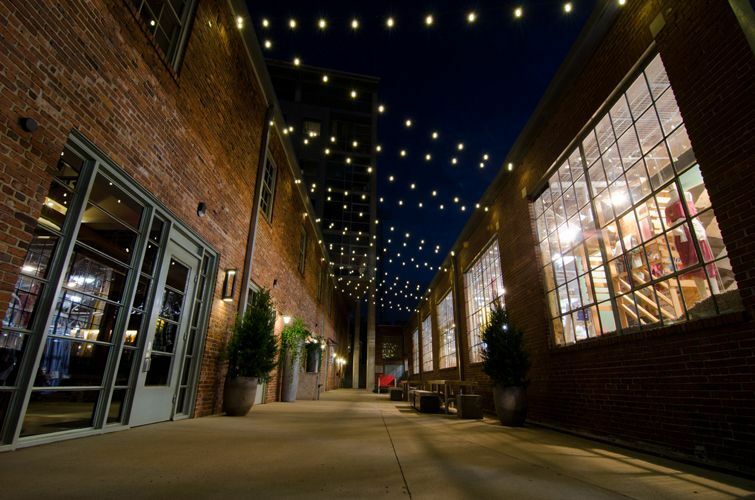 With creative outdoor lighting ideas you can relive the fun and ambiance in your own backyard! In the same manner the original flambeaux added excitement and romance to Mardi Gras celebrations of old, permanent festival lighting in your backyard can enable a plethora of outdoor enjoyment! 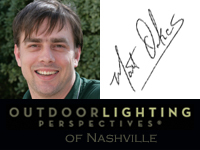 This entry was posted in Festival Outdoor Lighting, Nashville holidays and special events, Nashville outdoor living, Outdoor Lighting and tagged History of Mardis Gras, lighting design, Nashville globe lighting, Nashville LED festoon lighting, Nashville TN festival lighting, Nashville TN festoon outdoor lighting, Nashville TN orb lighting, Nashville TN permanent festival outdoor lighting, Nashville TN residential permanent festival lighting, Nashville TN specialty outdoor lighting, Nashville TN specialty outdoor lighting installations, Nashville TN unique outdoor lighting, the Perseverance Benevolent & Mutual Aid Association, www.mardigrasneworleans.com by outdoorlightingnashville. Bookmark the permalink.